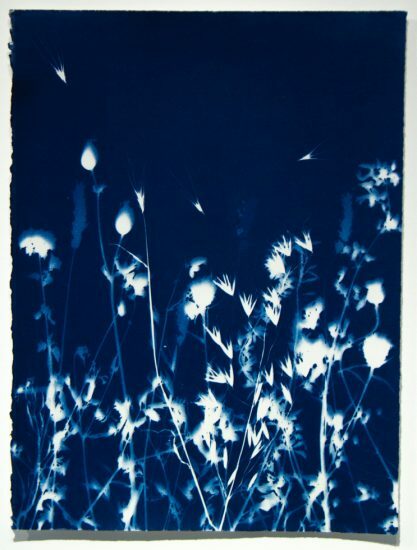 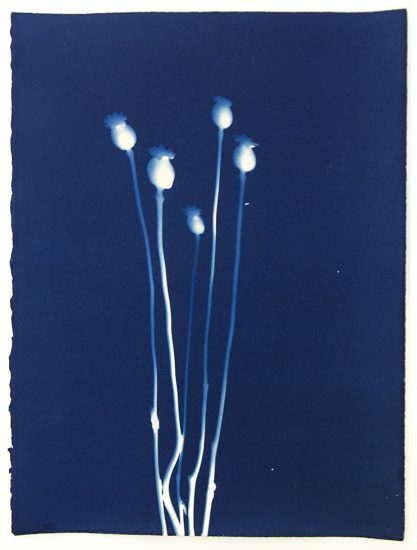 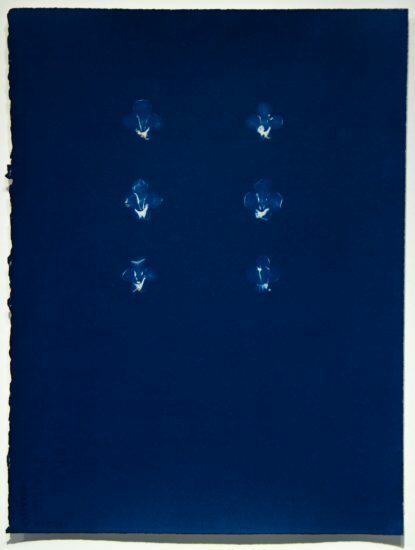 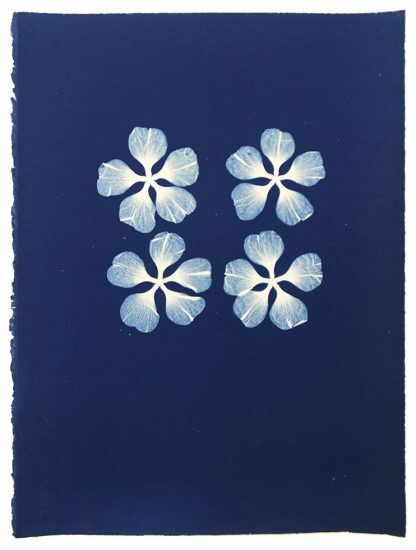 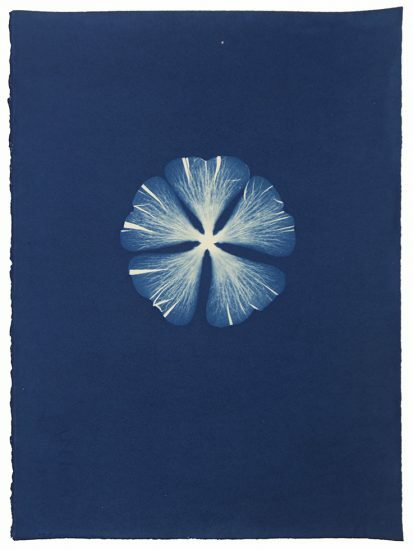 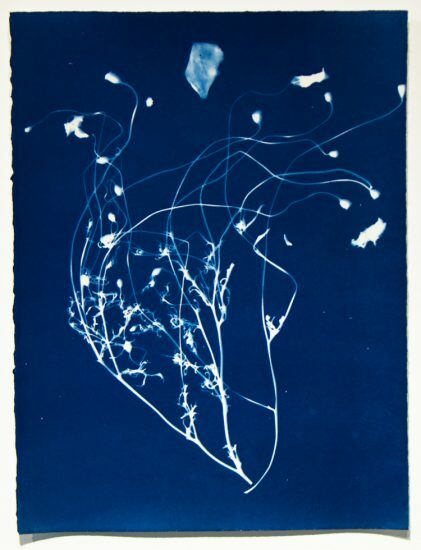 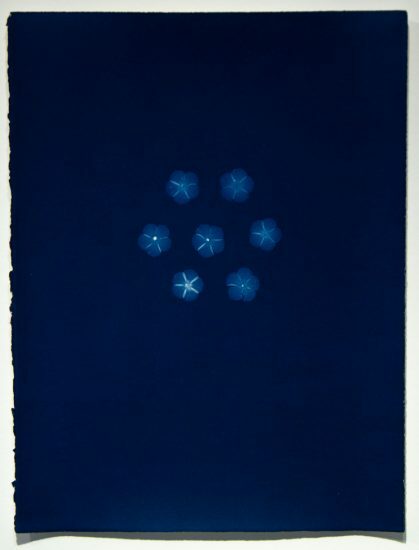 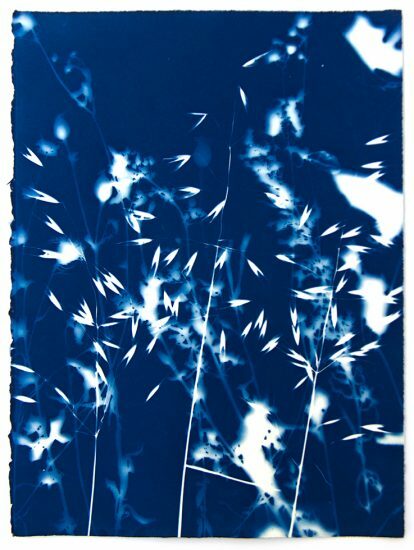 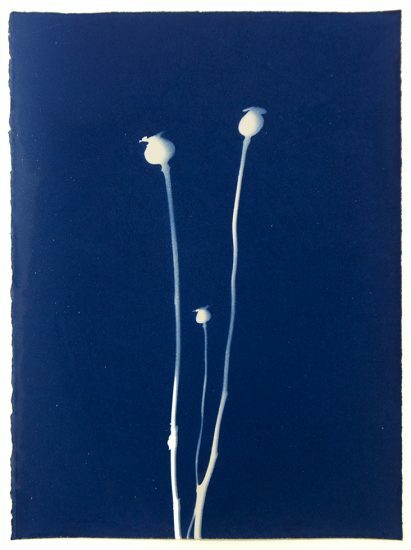 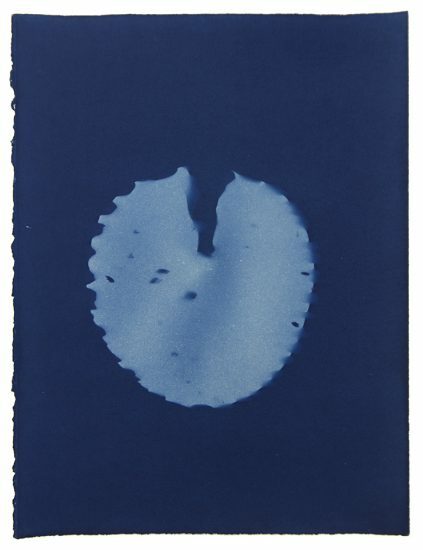 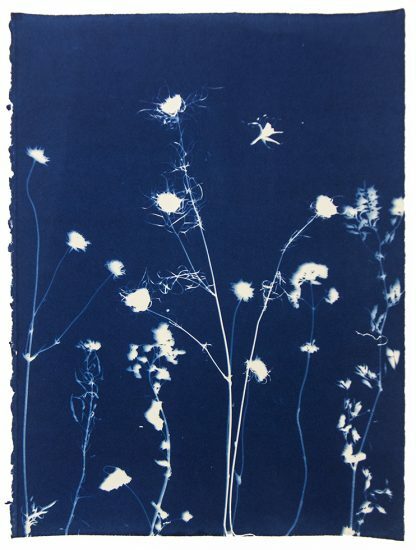 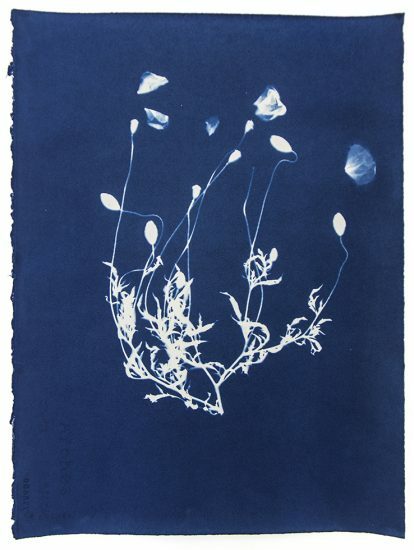 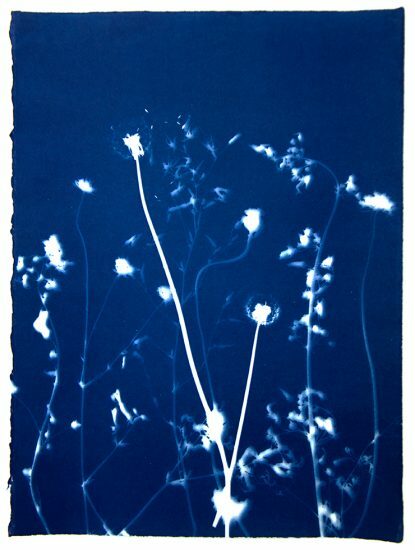 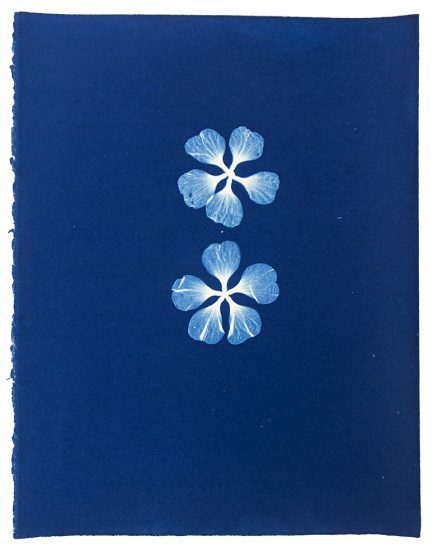 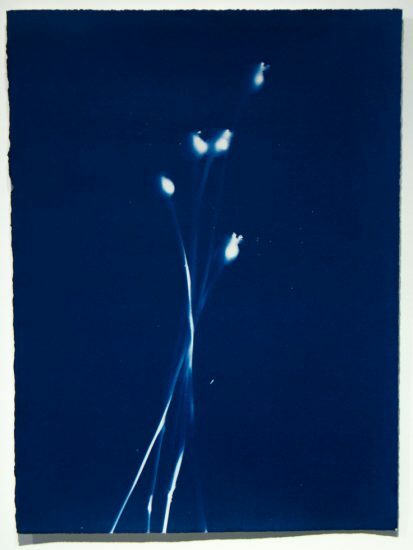 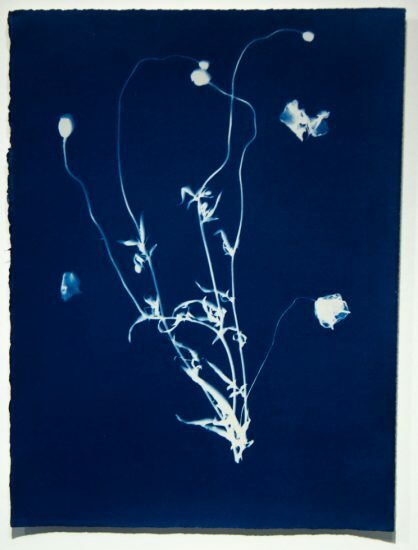 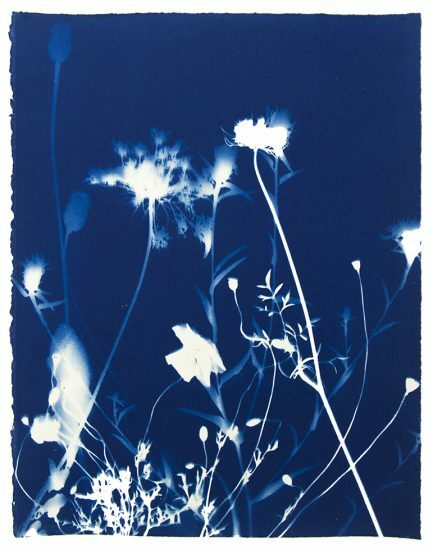 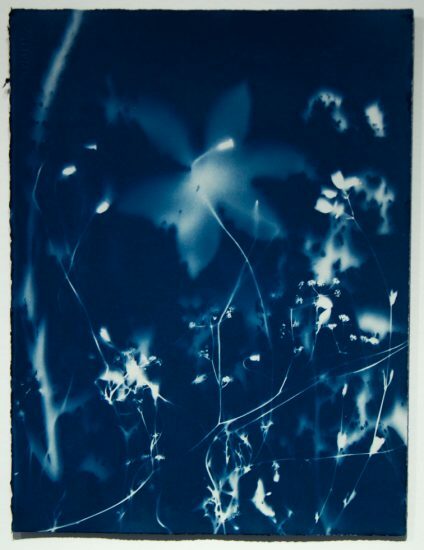 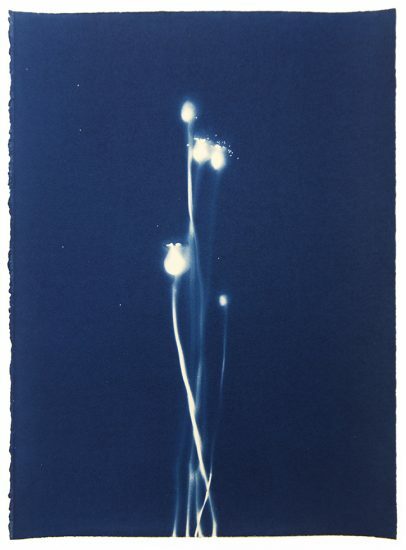 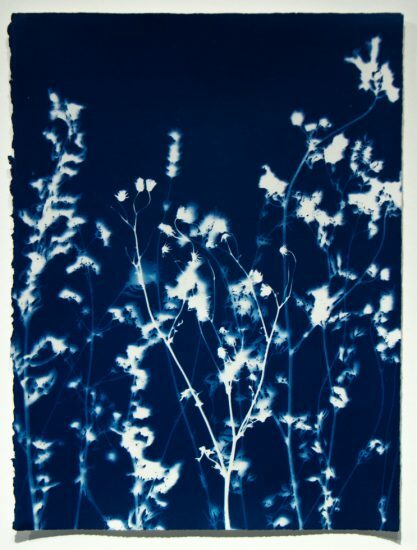 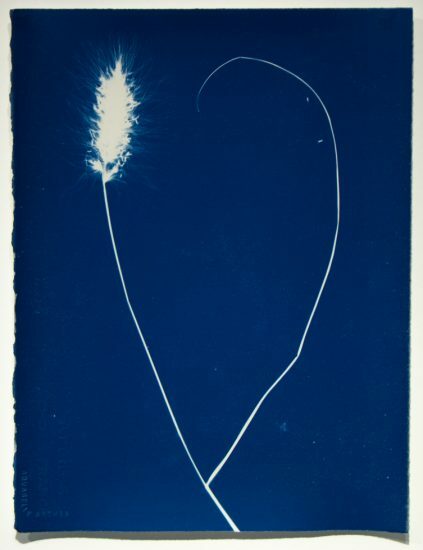 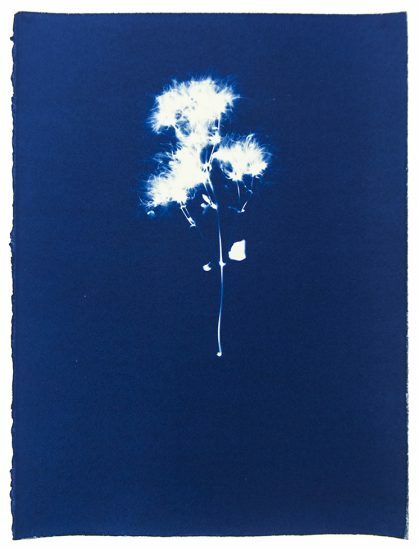 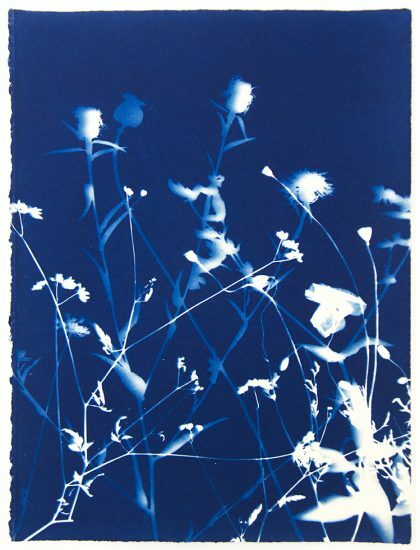 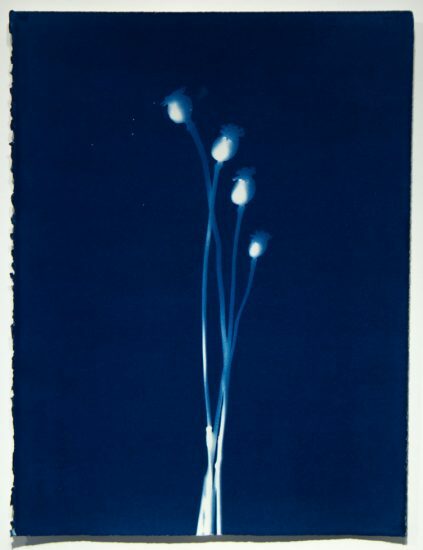 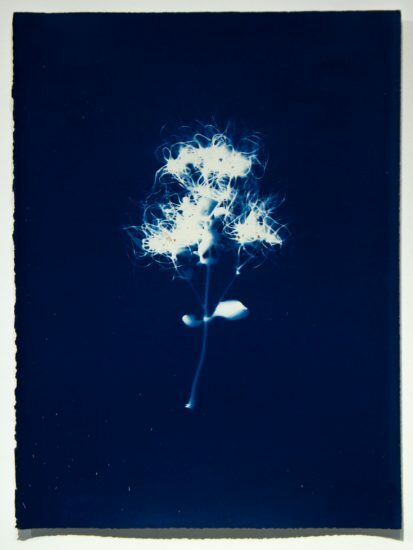 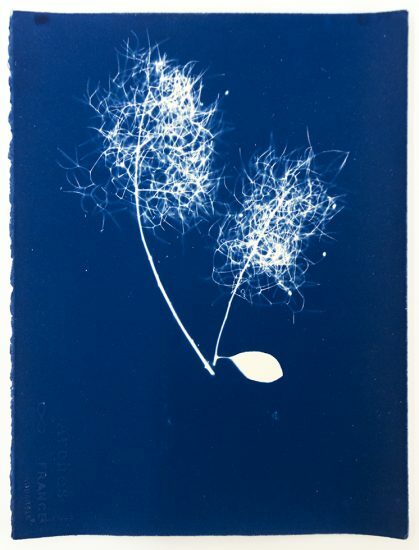 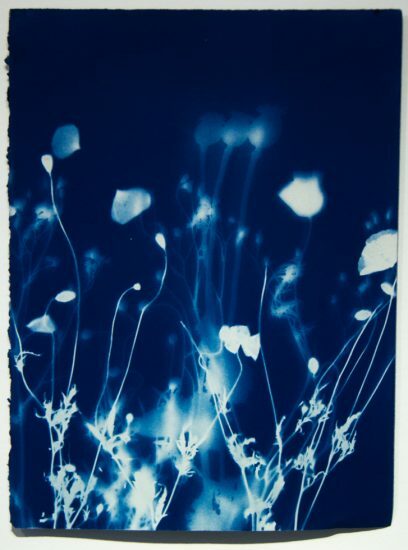 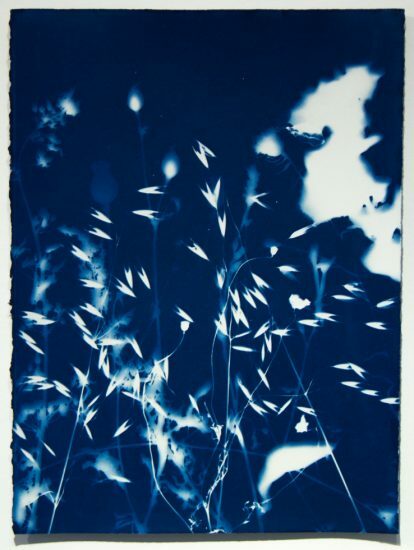 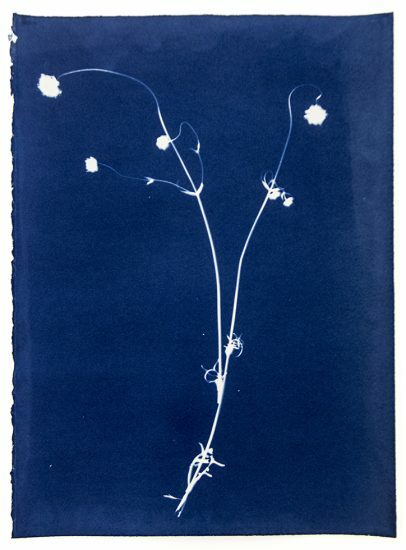 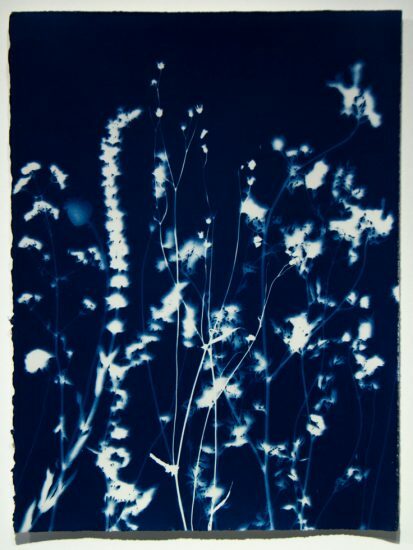 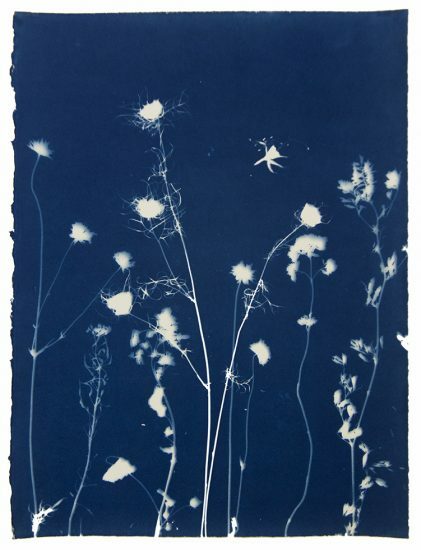 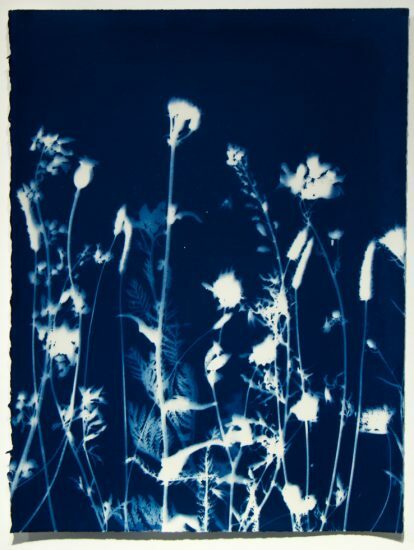 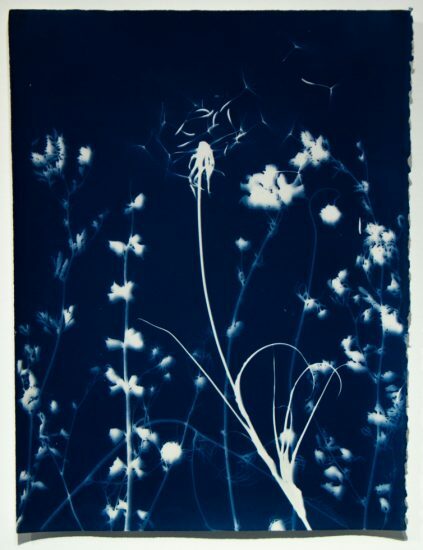 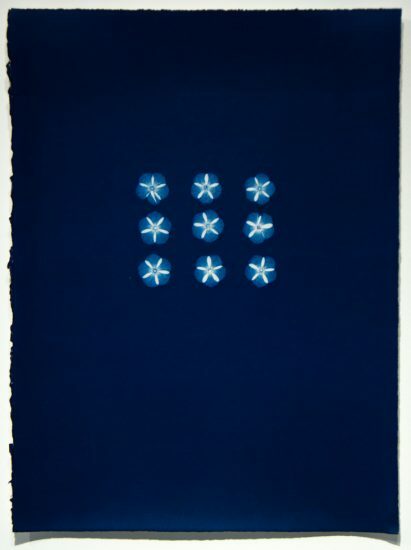 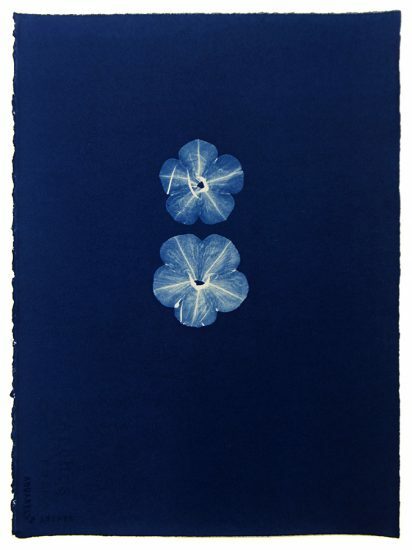 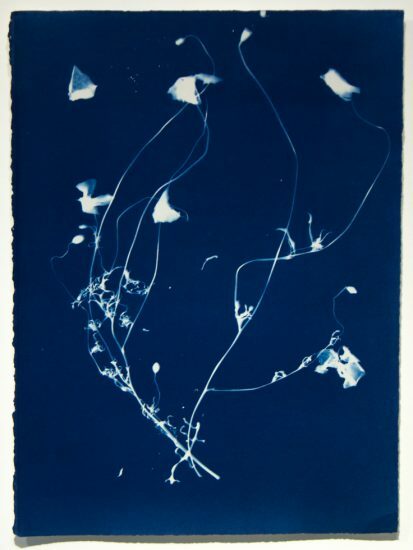 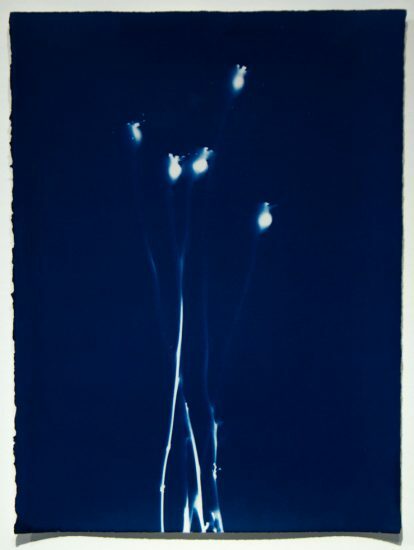 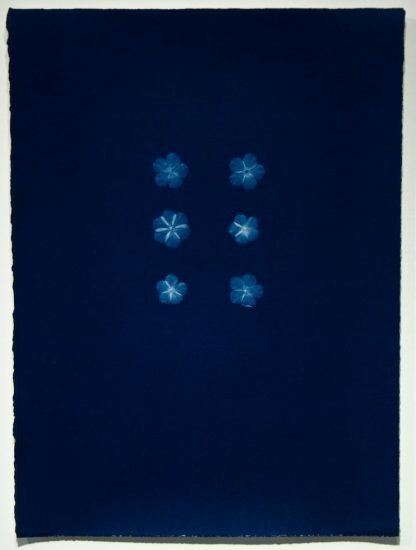 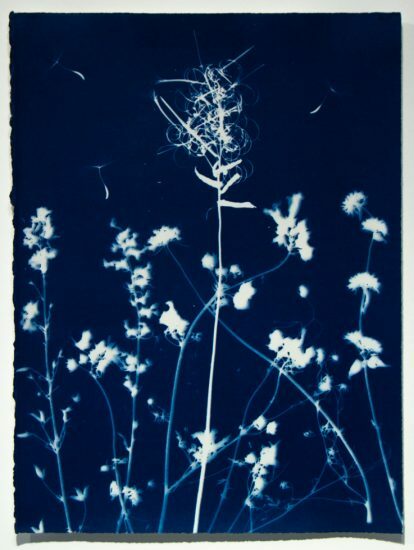 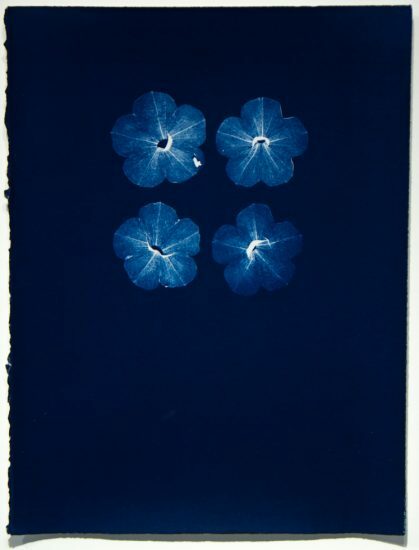 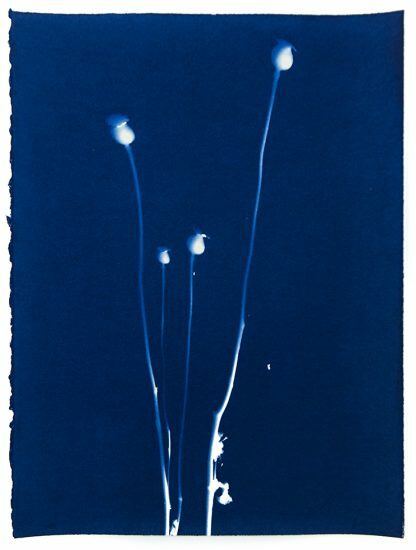 These cyanotype prints of botanical specimens were made by artist Pipo Nguyen-duy in Claude Monet’s garden. 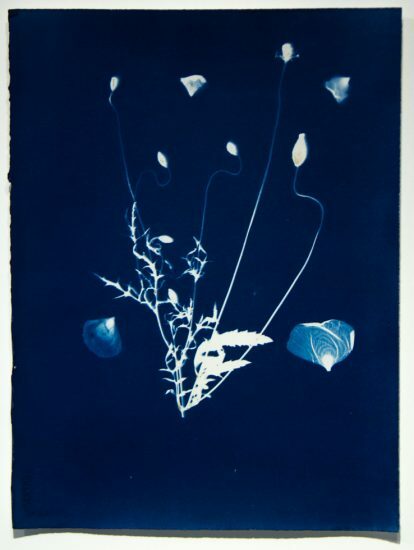 Nguyen-duy was awarded a grant from The Wallace Foundation and The Reader’s Digest Association to live and work in the garden in Giverny, France. 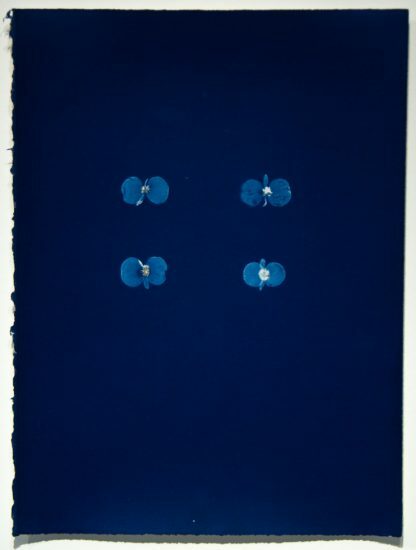 Samples were laid directly on to sheets of paper sensitized with a mixture of Ferric ammonium citrate and Potassium ferricyanide. 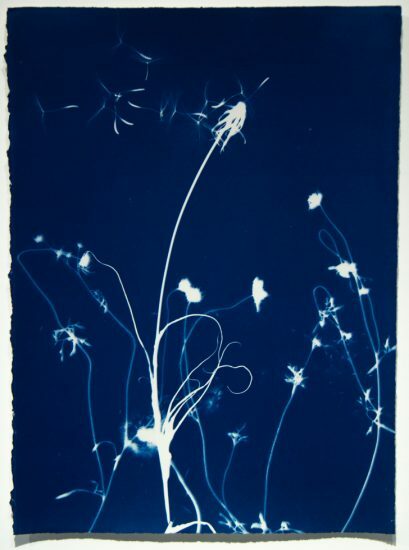 After the chemistry was allowed to dry, the specimens were exposed by contact with sunlight and then processed there on site. 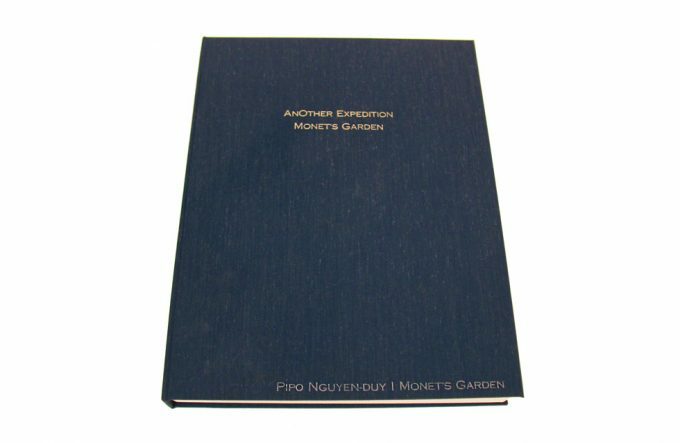 When displayed, “AnOther Expedition” is a simulated natural history museum installation of a fictitious Vietnamese colonial expedition to France. 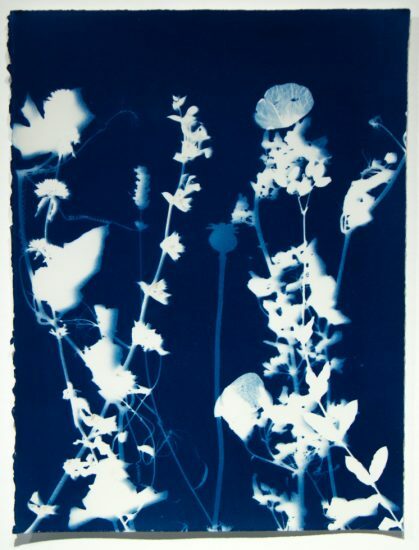 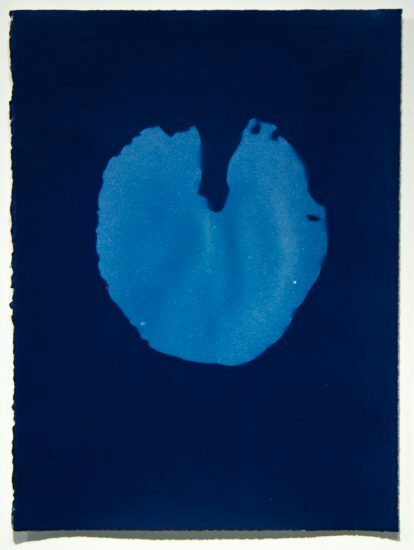 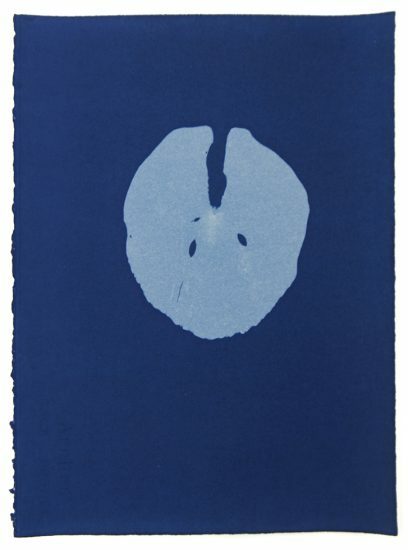 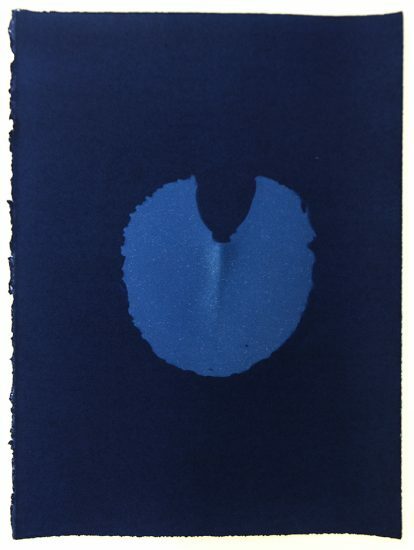 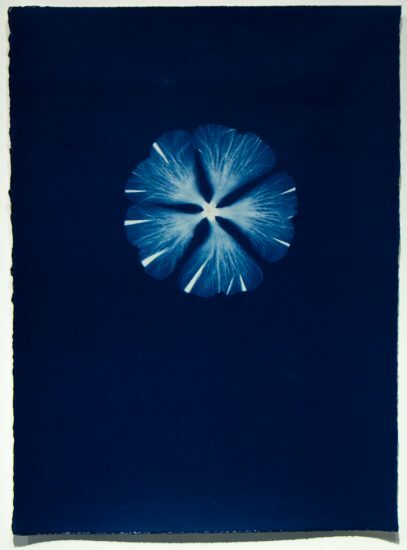 This installation includes the cyanotype prints of flora specimen as well as water, soil, and other physical elements that were collected from Monet’s garden. 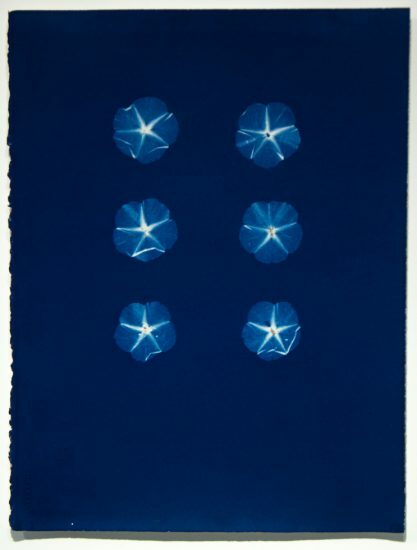 The intention is to subvert the historical European Gaze on Asia, to deconstruct the invention of photography as a colonial tool, and finally to question the authority and validity of Western cultural institutional practices.